Businesses generally have leeway when it comes to how they account for their income and expenses. As long as the method is generally accepted or specifically approved by the IRS, it can be used provided it is applied consistently. Remember that accounting firms in Las Vegas can help ensure you stay in compliance with federal regulations. Let's take a closer look at the cash method of accounting and why it can be useful for a company. This accounting philosophy states that a company should record income when it is received, and expenses are recorded when they are paid. It is important to point out that traditional corporations are prohibited from using the cash method under the Tax Reform Act of 1986, as are companies with one or more partners structured as traditional corporations. The cash method of accounting can be helpful when it comes to both short and long-term income tax planning. For instance, an organization could choose to pay future business expenses before the end of a calendar year to maximize deductions on those expenses. This also can allow delaying receipt of payment for goods sold or services rendered until the next year, effectively lowering taxable income. 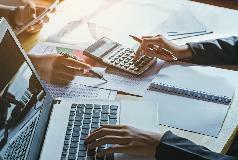 If the company is a pass-through entity, this method can also reduce the personal income taxes paid by owners or shareholders. Could This Method Benefit Your Company? It is important to think carefully about your business and how it is structured prior to choosing an accounting method. Most accountants have experience helping companies manage their books using the cash method. Additionally, a professional can help you learn more about the pros and cons of using this strategy.